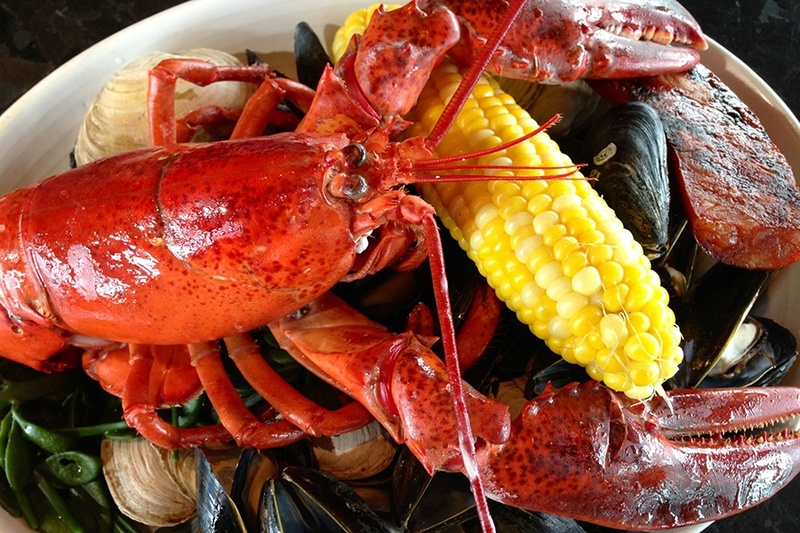 Is there a more iconic New England delicacy than fresh lobster? Whether it’s served in the shell with plenty of drawn butter and a smattering of herbs, or shucked, dressed in cold mayo, and tucked into a soft split-top roll, this sweet shellfish is a treat. 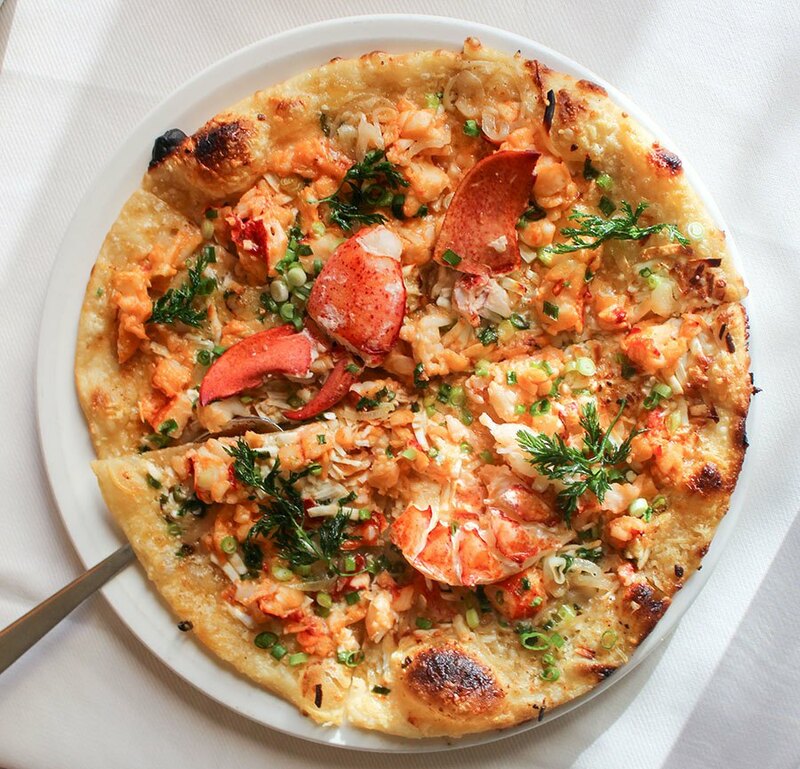 From longtime favorite restaurants like Neptune Oyster to relative newcomers like Loyal Nine, here are the 15, must-order dishes around Boston that best showcase this local luxury. This quirky dining spot and seafood shop is destination-worthy, even though it’s way off the beaten path and the “dining room” is just a few shaded picnic tables. 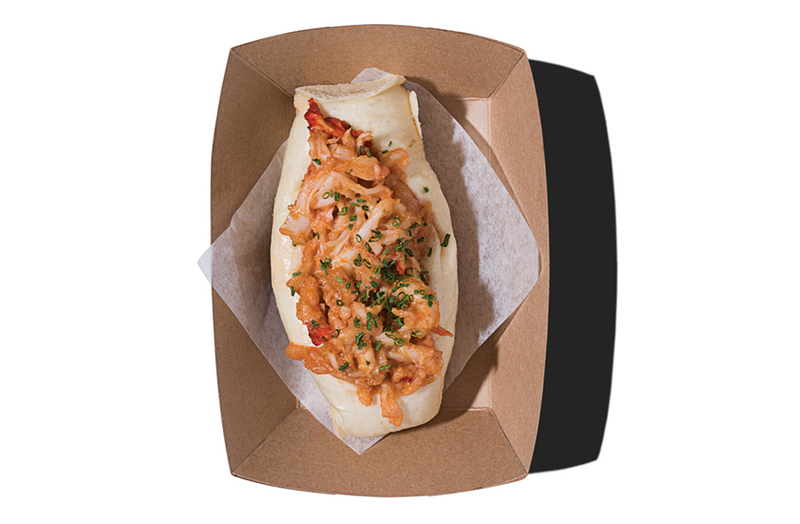 Go for the signature lobster sandwich (not a roll), which piles fresh, lightly dressed lobster salad between two crispy slices of toasted Scali bread. 269 Putnam Ave., Cambridge, 617-876-0451, aliveandkickinglobsters.com. We’re not going to pretend this place isn’t a tourist trap. But we all like to play tourist in our beautiful town sometimes, and there are worse places to do it than under this carnivalesque tent on the Fort Point Channel, with a cold beer and a fresh feast of boiled lobster and drawn butter. 88 Sleeper St., South Boston, 617-426-2722, barkingcrab.com. The “best lobster roll in Boston” discussion got some new heat with the arrival of this James Beard award-winning import from Maine. 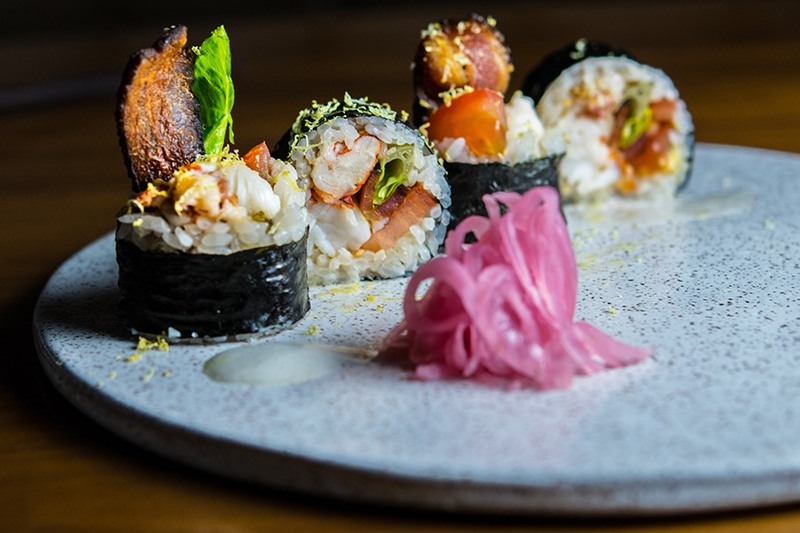 Despite its name, Eventide Oyster Co.’s signature dish is this unique take on a lobster roll, with small bites of rich meat inside a hybrid bao bun/New England split-top roll that almost everyone loves. Bonus: the Boston version is a bit larger than the Portland original. Chef and partner Jeremy Sewall hails from a lobstering family in York, Maine, and his roots are deep on the menus of his five New England restaurants. 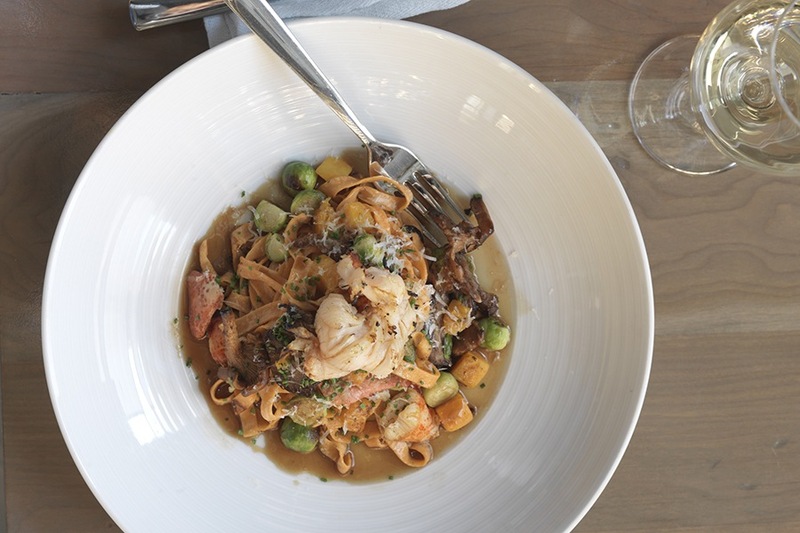 This dish complements a generous helping of succulent, grilled lobster meat with just enough short rib, roe, and Pecorino for a richly flavored, satisfying meal. 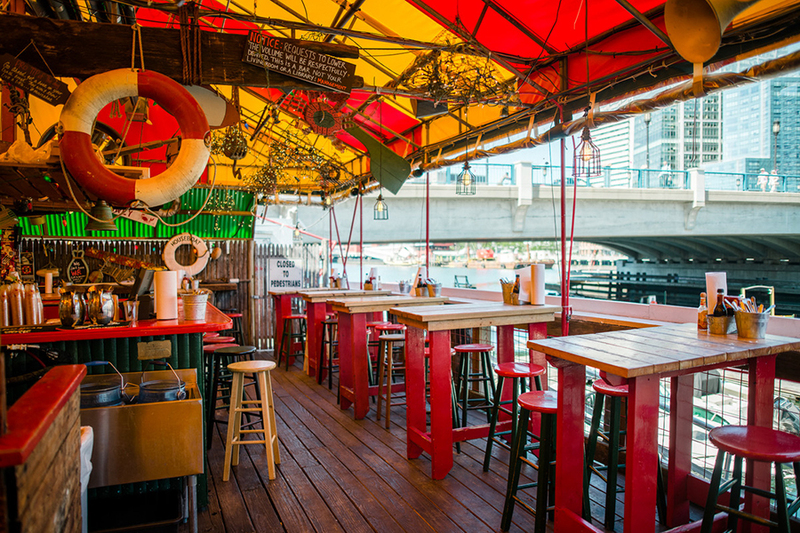 500 Commonwealth Ave., Kenmore Square, Boston, 617-532-5300, islandcreekoysterbar.com. The more things change in the Legal Sea Foods empire, the more they remain the same as far as menu staples go. This one is an unequivocal local tradition: A pile of steamers, mussels, Portuguese chouriço, and sweet summer corn land on the table beneath a foil tent, and alongside a cup of another New England must. Copley Place, 100 Huntington Ave., Boston, and other locations, legalseafoods.com. With smoked pork hollandaise and runny poached eggs, this brunch star is reminiscent of a Benedict. 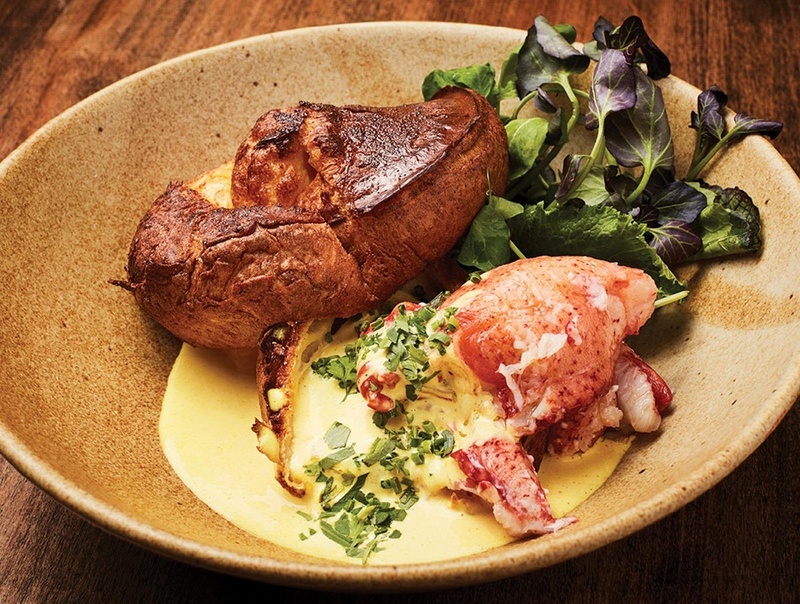 But chef Marc Sheehan upgrades the Sunday morning requisite with plump, local shellfish, and a very New England bread choice: The humble popover. The eggy shell is amped with more of the pork fat that flavors the sauce, so every element of this eggcellent dish comes together swimmingly. 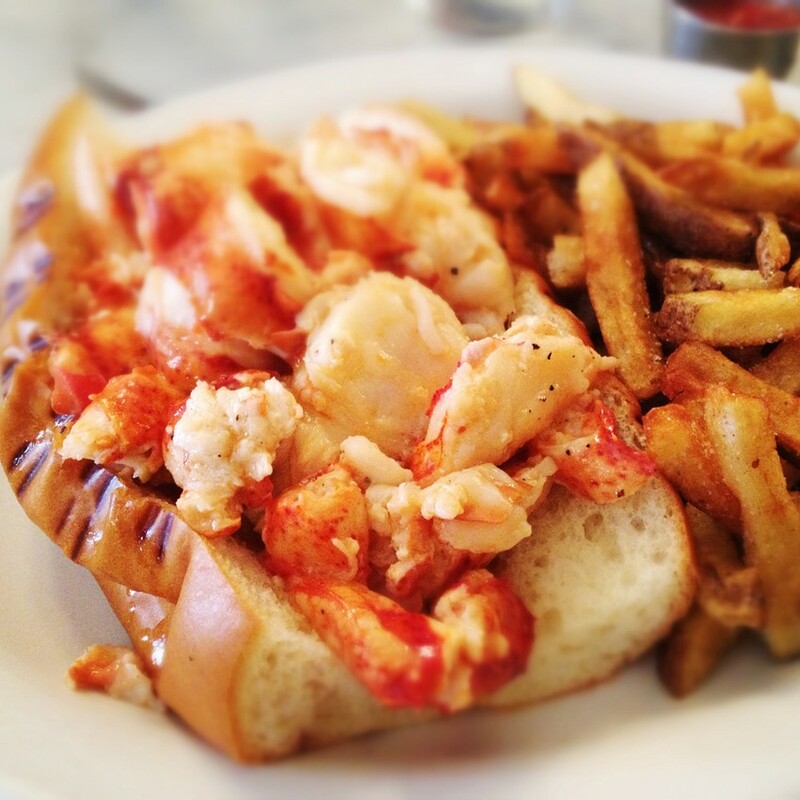 Whether you, like most visitors to this popular North End spot, prefer your lobster roll hot with butter, or cold with mayo, either way it will be worth the inevitable wait. The grilled, brioche bun overflows with sizable chunks meat. 63 Salem St., Boston, 617-742-3474, neptuneoyster.com. 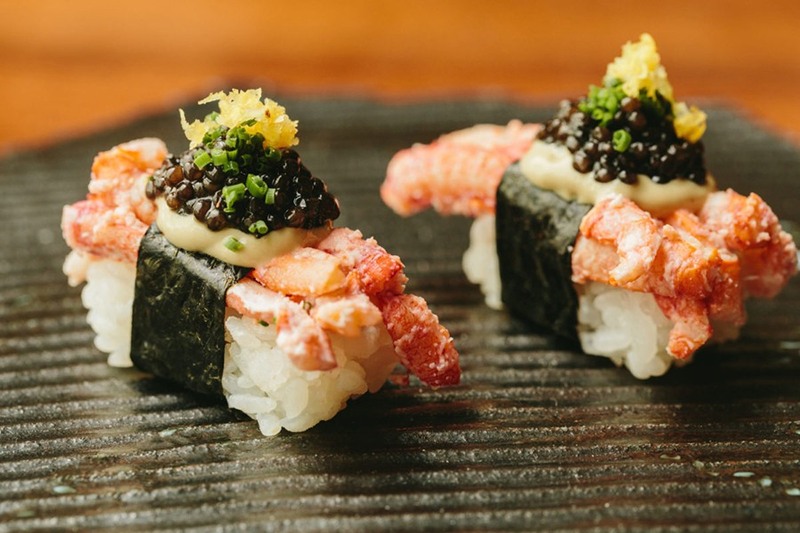 Chef Tim Cushman highlights Maine lobster’s lanky legs in this two-bite morsel, along with the concentrated flavors of its tomalley (the green, paste-like part of whole lobster) and Black River osetra caviar atop seasoned rice. It’s a must for lobster lovers balling out at the top-tier sushi spot. 9 East St., Boston, 617-654-9900, oyarestaurantboston.com. 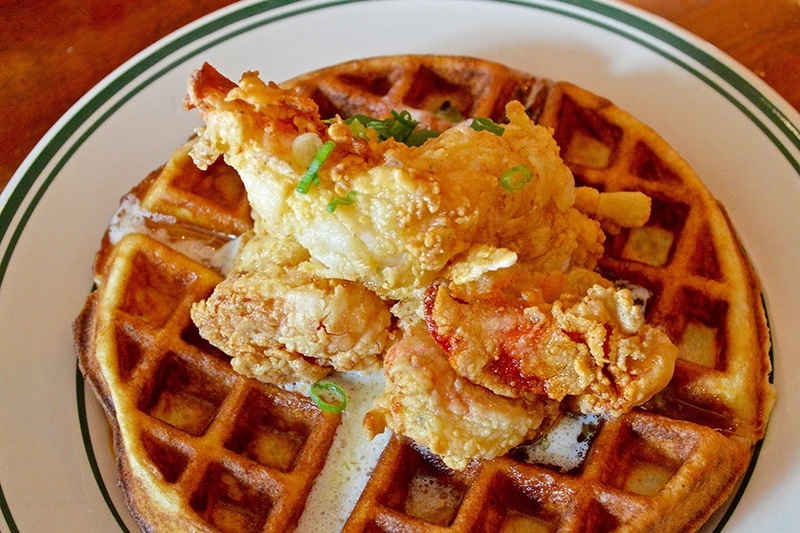 The Southern-born combination of fried protein and warm waffles gets a Northeastern makeover at this meeting place for mer-people. Big pieces of lobster tail take a dip in the fryer but maintain a toothsome texture, and spicy maple syrup and sweet corn butter accent the fluffy waffle. 281 Dartmouth St., Back Bay, Boston, 617-267-0691, saltiegirl.com. 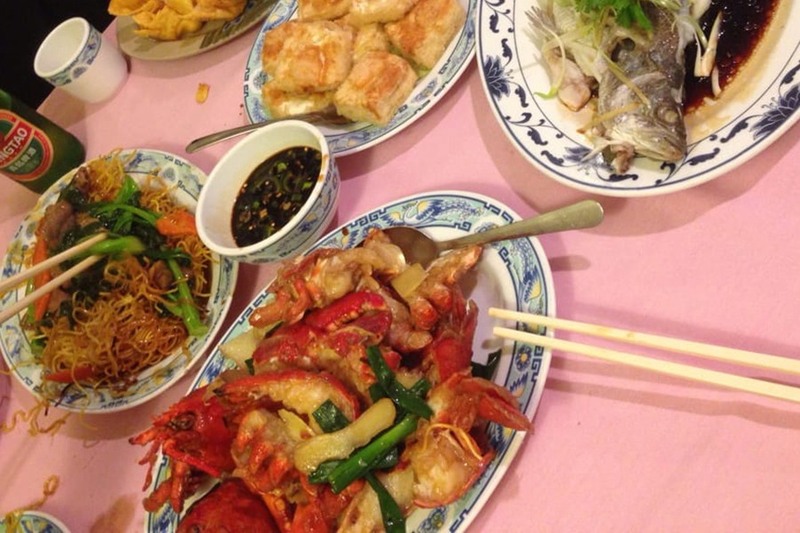 While you can choose your own lobster right out of the tank at this essential Chinatown restaurant, the kitchen staff will do (most of) the work for you to present it stir-fried with herbaceous green onions and piquant fresh ginger. Even stalwart waitress Debbie says it’s a must-order. 4 Tyler St., Chinatown, Boston, 617-482-1116, peachfarmboston.com. This busy, quintessential East Boston restaurant doesn’t need any more hype. But that’s too bad, because comfort food king Guy Fieri is not alone in loving this signature dish of chef-owner Anthony DiCenso’s. How who can blame him? 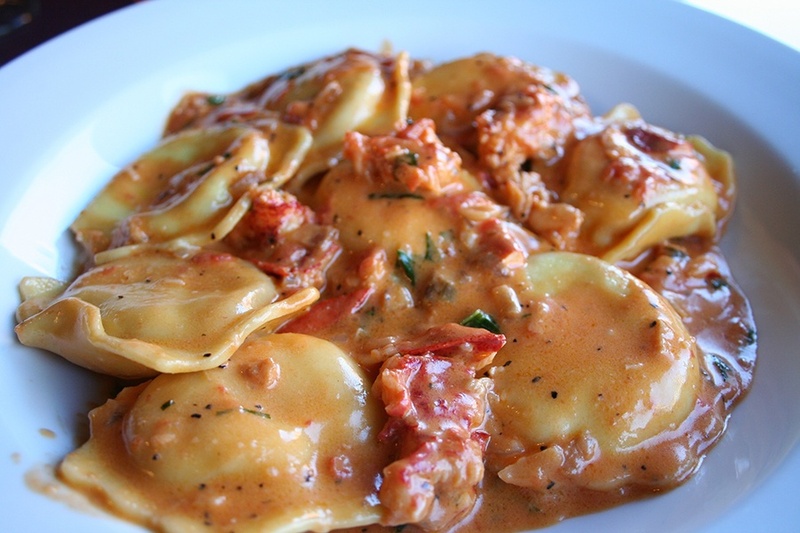 Giant, pillowy pasta pockets, stuffed with lobster, fresh Italian ricotta, and Parmigiano-Reggiano are swimming in a creamy brandy-tomato sauce. 258 Saratoga St., Boston, 617-567-7412, rinosplace.com. Iconic Boston chef Lydia Shire first served this then-boundary-pushing pie at her late restaurant Biba, and installed a pizza oven at her Liberty Hotel locale when it opened a decade ago to continue serving the signature dish. The thin, dinner plate-sized crust manages to hold onto the cheesy cream sauce, caramelized shallots and garlic, and meat from a two-pound lobster, while fresh ricotta and scallions help keep it balanced (though anything but light). The Liberty Hotel, 215 Charles St., Boston, 617-536-2100, scampoboston.com. 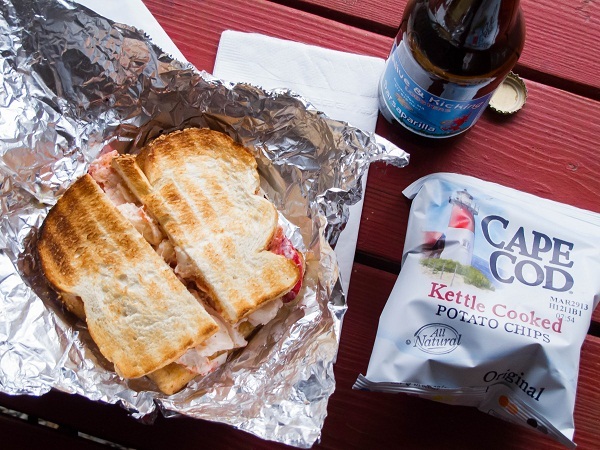 While a jaunt out to the South Boston landmark where this snack bar is situated is an important part of the experience, this to-the-point cold sub can be sourced for workweek lunch in a pinch from Sully’s seasonal location at the also-extremely-Boston Hood Milk Bottle in Fort Point. 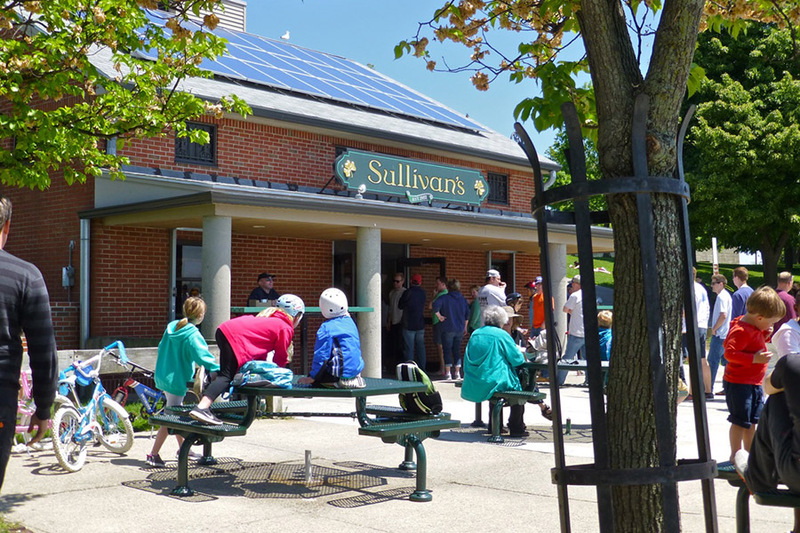 2080 William J Day Blvd., South Boston, 617-268-5685, sullivanscastleisland.com. 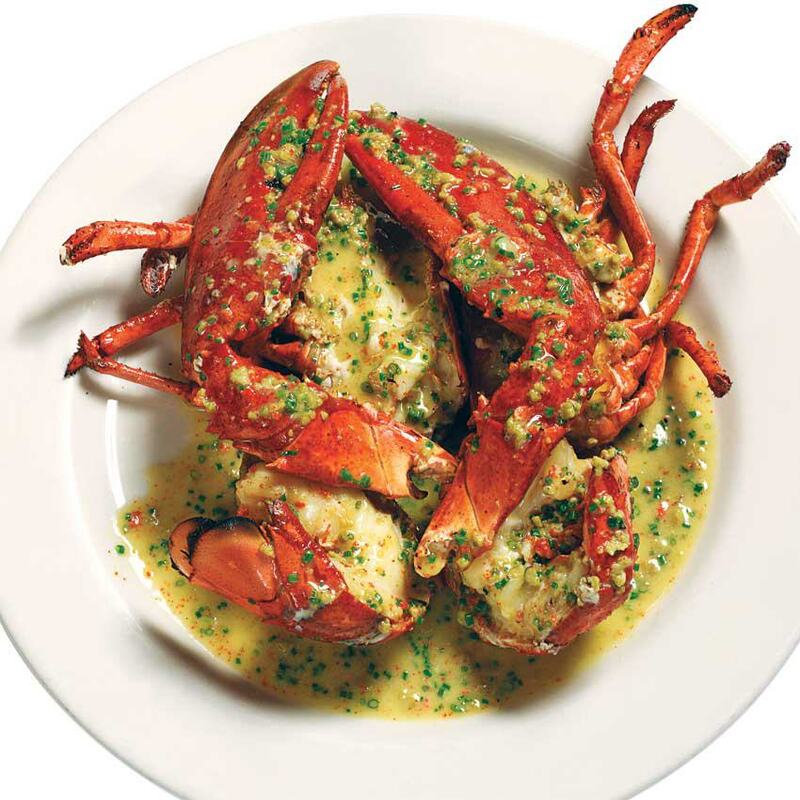 A whole section of the menu here is dedicated to preparations of this tasty bug, but none rivals Jasper White’s aptly named “famous pan-roasted lobster,” an exemplary entrée the celebrity chef developed at his eponymous North End restaurant. Jasper’s shuttered in the ’90s, but White’s family-friendly current restaurants all serve this buttery, bourbon-flambéed, chive-and-chervil-seasoned specialty. 149 Alewife Brook Pkwy., Cambridge, 617-520-9500, 50 Dalton St., Boston, 617-867-9955, summershackrestaurant.com. Grab a seat at the sushi bar to see just how popular this spin on the standard sandwich is—every other order seemingly adds this fun fusion roll. It’s one of the best examples of chef and partner Tony Messina’s creative takes on Japanese tradition. Crispy bacon, brown-butter mayonnaise, and pickled celery take it beyond just summer lunch nostalgia into seriously craveable territory.